Solutions > Asset Productivity Consulting Services > Resources > Is Asset Hierarchy Validation and Optimization a Waste of Time and Money? Is Asset Hierarchy Validation and Optimization a Waste of Time and Money? Sound familiar? In most facilities the maintenance staff has been so streamlined that it is almost impossible to accomplish everything that needs to be done each day. 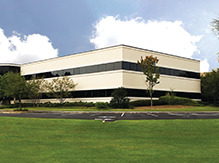 We look at every avenue to cut corners and still keep the plant up and running. Routine maintenance takes a back seat more regularly than we would like, while reactive maintenance often dictates the work load of the day. No matter which CMMS system is used to capture the information, an accurate system asset hierarchy is of paramount importance in today’s plant environment. As we examine the importance and significance of an asset hierarchy and the pitfalls of an asset hierarchy that is not current, it will become apparent that we are wasting both time and money if the hierarchy is not up to date. If the hierarchy is not accurate it is impossible to gain the reliability, maintainability and required traceability of the assets. How can Planners do their job if they are not aware of the plant’s assets and in particular how the assets relate to other assets? The Planners’ only reference is the system asset hierarchy and the established parent-child relationships within the hierarchy. Let’s look deeper into the benefits of an accurate system asset hierarchy and how we can actually save both time and money by simply validating the existing asset hierarchy. 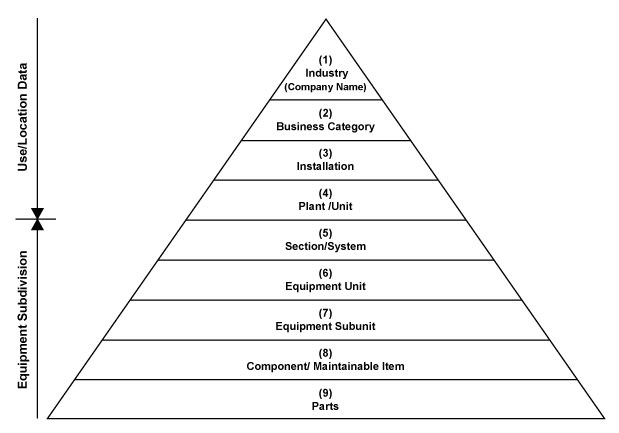 There are several areas we consider when performing the hierarchy validation: (1) current system hierarchy and establishing the parent-child relationship; (2) retired and or deleted assets; (3) new assets not currently residing in the hierarchy structure; (4) bill of materials to support the maintainable assets; (5) repair parts loading in the store room to support the assets; and (6) preventive maintenance assigned to the assets. In this article I’ll explore the first three of these areas. Once developed, the asset hierarchy parent-child relationship allows the end-user to easily identify which assets are maintainable assets and which assets are considered bill of material assets. ISO 14224 illustrates how a parent-child relationship appears in a pyramid taxonomy. Figure 1: The nine tier levels showing typical asset parent-child relationships, based on the ISO/DIS 14224 Taxonomy. One benefit of establishing the parent-child relationship is scheduling preventive and predictive maintenance activities. For example, if the Planner is scheduling maintenance on a tank then all assets associated with that tank (pumps, drive motors, loop instrumentation, pressure safety valves, associated piping and isolation valves) can also be candidates for maintenance while the tank is off line. This saves a lot of time and money because we can shut down a group once to do scheduled maintenance versus numerous shutdowns to do maintenance on individual assets. Another benefit of establishing the asset hierarchy parent-child relationship is the ability to charge costs to the lowest possible asset level, thereby providing a means to identify where maintenance dollars are actually being spent. Additionally, once the asset hierarchy parent-child relationship has been established, Field Technicians and Engineers can write work notifications to the correct asset level and not to a general area. This helps develop historical data that can be used to identify the actual “bad actors” that are creating the maintenance burden. When establishing the asset hierarchy parent-child relationship, the ISO/DIS 14224 Standard Taxonomy can be a useful guideline for establishing the appropriate levels. 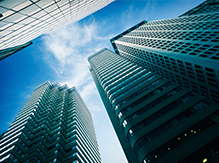 The standard applies to the CMMS programs where asset hierarchies reside. 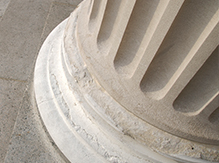 Companies can customize the structure illustrated in the taxonomy to better manage their unique requirements. Asset validation and optimization is a process that requires the involvement of subject matter experts (SMEs), Process Engineers, Reliability Engineers, Planners, the Maintenance department, Instrumentation SMEs, and Electrical SMEs, to name a few. The asset validation is a methodical process in which the most current process and instrumentation drawings (P&IDs), process flow diagrams and electrical schematics are used to identify the assets in relationship to the current system configuration. Let’s discuss the process that is required to validate the assets. The best way to approach asset validation is to first segment your plant into manageable areas or sections. The most expeditious way to do this is to form a committee utilizing System Engineers, Reliability Engineers (REs) and Planners from the various areas of the plant. Once the areas have been identified and prioritized, this will be the best way to manage a large project and provide a way to track progress as the asset validation moves forward plant-wide. Current revision of the P&IDs for the area where the asset validation will be conducted. Current process flow drawings for the area where the asset validation will be conducted. Current, active assets downloaded from the resident CMMS to be used as a reference in the asset validation. 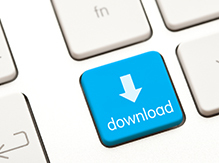 The CMMS download reflects what the current planning asset load is. Typically the CMMS asset population has an error rate of 35-40%. Current electrical schematics for the area where the asset validation will be conducted. The reporting process of the actual asset validation. The methodology of marking up the P&IDs indicating assets that are no longer installed and indicating those assets that have been installed but were not reflected on the drawings. The methodology required when comparing the field validation data with the CMMS download data and making required corrections to validate the CMMS system to reflect the actual system configuration found during the field valuation phase. The methodology required to place the validated assets into a Parent/Child relationship prior to uploading back into the CMMS system. At this time the field validation/optimization phase can be conducted using the downloaded CMMS data, current P&IDs and flow diagrams. The validation/optimization effort is a detailed and methodical comparison of all systems and assets that reside in the field with the asset listing that resides in the CMMS with those illustrated on the P&IDs and flow diagrams. The validation/optimization effort will yield an asset hierarchy that reflects the true system configuration. The validation/optimization effort will also indicate those assets that have been retired from service or the assets have been removed but still reflect being an active asset in the CMMS system. Additionally, the validation/optimization effort will show all the new assets that have not been entered into the CMMS system. Typically if a retired asset, an asset that has been removed, or a new asset are not reflected in the CMMS system, this is a strong indicator that the Management of Change (MOC) process is not functioning. Retired assets and assets that have been removed from the plant but still appear as active assets in the CMMS system create a major problem. One of the major concerns is that typically there are PM tasks still assigned to the assets. If the MOC program is not functioning the Planners do not know the assets are not active. Therefore the PM schedules have not been revised to eliminate unnecessary activities. Looking at a plant where the asset load is 45,000 and calculating that 2% of those assets have been removed and/or retired from the plant over time then we can assume that 900 assets are no longer active. If there were only two PMs assigned to each of those assets we now have 1800 PMs that would be applied to those assets. Estimating one hour is required to accomplish each PM and using a conservative, loaded man-hour rate of $55, the cost to perform the 1800 PMs would be $99,000 annually. But the assets requiring those PMs are no longer functioning. We can now see why it is so important that the asset hierarchy be validated and optimized. During the asset hierarchy validation and optimization effort there will be numerous assets that will be identified that do not appear in the CMMS download or on system P&IDs or flow drawings. These assets typically were added during system upgrades and improvements. The concern is that the new assets typically are not in the PM/PdM program or being properly supported by the spare parts in the store room. An effective MOC program would eliminate this issue. If you work in an environment where the asset hierarchy in your CMMS is incomplete and out-of-date, chances are that it’s going to be difficult to find the time. You will need to make the time. I’d recommend using some of the reasoning and examples I’ve provided to explain to your leadership team the importance of carving out some resources to accomplish validating and optimizing your asset hierarchy. The money and time you will save in the long run will more than justify an up-front investment. 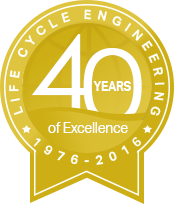 A Senior Reliability Technician with Life Cycle Engineering (LCE), Paul Langan specializes in executing best practices programs for asset management strategies supporting CMMS implementations. Paul has extensive experience in hierarchy development, criticality analysis, Simplified Failure Mode and Effects Analysis (SFMEA), equipment maintenance plans and job plan development and optimization. You can reach Paul at plangan@LCE.com.